Looking for an excuse to go out? Or maybe you have something to celebrate. Rack your brain for a good reason – with so many fantastic restaurants in Hackney, you will making up new events just so you can dine out. 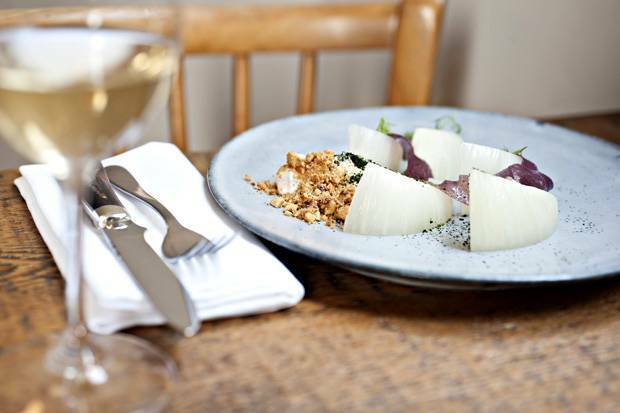 While our Hackney guide gave you a few suggestions on where you can eat out in this fashionable part of London and our Hackney property search can tell you about great available properties, we have put together a list of our favourite 20 restaurants in the borough to tickle your taste buds. Click on the restaurant titles to visit their website for more info! 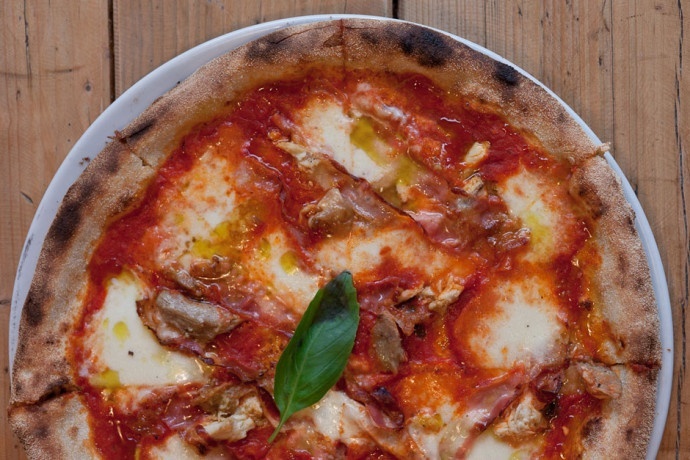 A seriously good pizza base smothered in quality toppings is a true joy, and thanks to Sodo sour dough pizza café you will be wiping tomato sauce from your smiling mouth in no time. Simple but delicious. 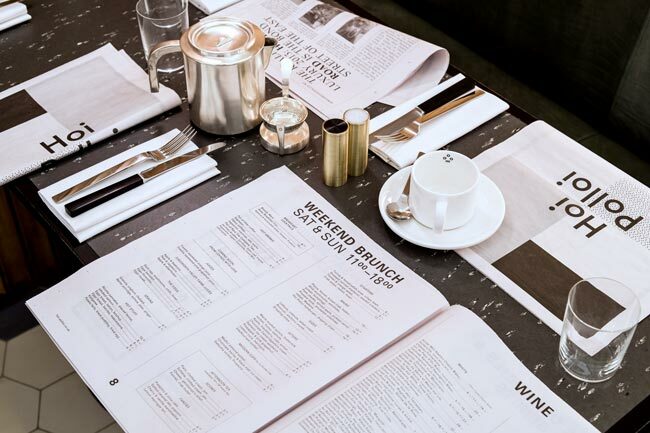 Serving a wonderful seasonal food menu inspired by a wide range of cultures, Railroad is the go-to place for a tasty meal and seriously good coffee. They focus on using local produce and serve a great range of ales, organic wines and some fantastic cheese. 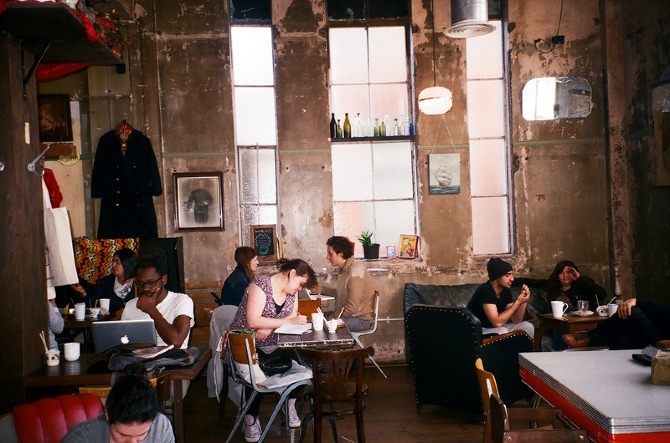 If you’re looking for Sunday brunch in Hackney, hit up the Railroad. You can’t go wrong with good old fish and chips, and Fin and Flounder make battered cod look super cool. 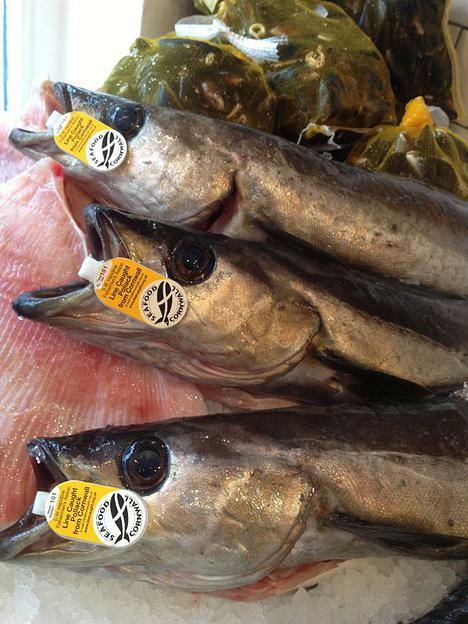 Located within the Broadway Market, these guys use sustainable and line-caught fish and pride themselves on delivering the best quality product available. We told you about Lardo in our restaurant guide to Dalston and we feel it must be included in this top 20. One of the best Italian restaurants in Hackney, you have to try their salume, which is made from Mangalitza pure breds and pigs crossed with wild boar – just incredible. Thanks to one of our lovely readers, we have been put on to a truly wonderful discovery. Floyd’s is a food-lovers heaven for Sunday brunch or Tuesday night dinner with friends. They do some mean cocktails, too. The Clove Club is located within the beautiful old Shoreditch Town Hall. Serving a 5-course tasting option or an extended dinner menu, they focus on unique British ingredients combined with international spices and flavours. 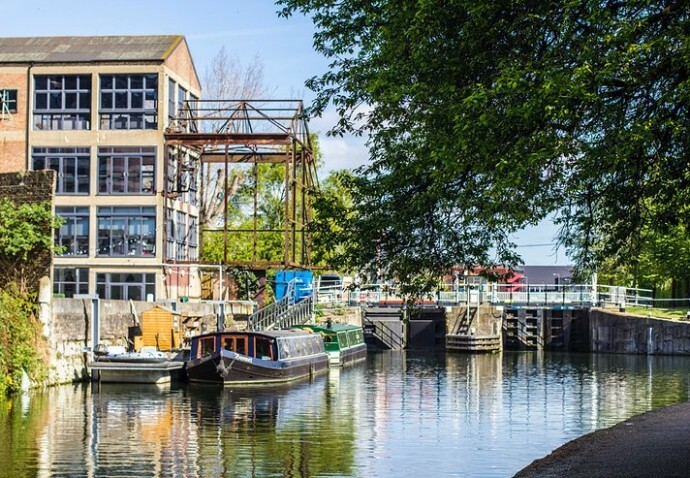 We love the idea of sustainable food and Grow is a canal-side creative space and restaurant in Hackney Wick that is experimenting with using vegetables and herbs it produces in its own garden space. Open for special events, Grow is an evolving space focusing on local community projects and ethical food production. New Zealanders get excited – your home away from home is just near Hoxton station. Come for their superb range of breakfast options and modern evening menu and you while you’re here you can stock up on some Jet Planes and Lemon & Paeroa. Location is everything at Swan Wharf, and on a sunny weekend afternoon, this one of the best places to be in London. Located on the canal, you can munch away on one of their famous homemade burgers while taking in the sunshine and water views. The cosy and relaxed atmosphere of the Hackney Pearl makes this the perfect place for a meal with friends. The menu changes regularly depending on their local suppliers and their extensive range of craft ales are all brewed in London. Their brekky bap is the best possible way to start a Sunday. Using carefully selected organic ingredients, Vu Viet is a contemporary Vietnamese restaurant specialising in traditional dishes with a new twist. There is a garden seating area with a retractable roof, so head here on a nice summer day. This super trendy restaurant is popular with the locals but also spacious enough to be able to hear your companions speak. They have an extensive range of food menus depending on what time you arrive – breakfast, brunch, day time, afternoon tea, dinner and supper. This is a rare gem of a restaurant whose kitchen stays open until midnight (or 1am from Thursday to Saturday). We can’t not include Rawduck in our top 20 list. We’ve raved about it before and we’ll rave about it again. Just take our word for it and try Rawduck for yourself. Located on Hackney Road, Morito draws its influences from Southern Spain, North Africa and the Eastern Mediterranean, drawing up an eclectic and delicious mix of dishes. Our favourites include the deep fried baby red mullet, pulled slow cooked rabbit and a chocolate and olive oil mousse to round it up. Yummy! A simple and quiet café serving hearty homecooked meals, Elbows is the place you come to when you’re missing your mum’s cooking. It has a very affordable menu and the staff are friendly and attentive. Bella Vita offers a traditional Italian experience and offers a wide-ranging menu that includes sea food starters, more pizzas than you'd know what to do with, scrumptious pasta and profiteroles for dessert. Our mouths are watering at the thought. Bringing the delights of Bombay to London, Dishoom is a contemporary Irani café with a beautiful veranda seating area. Word cannot describe how good the bacon naan roll is – please just go and experience it for yourself. Looking to rent in London? Download our app! You may need to wait for a table at Hackney Bureau but it is worth it – their food is healthy, fresh and tasty and the service is reliable and friendly. The restaurant itself is simple in design and a comfortable space to dine in. If you’re not sick of brunch yet, here’s another restaurant to try out. Reilly Rocket takes its inspiration from the cafés of Melbourne and while the food and coffee are top notch, they can’t guarantee Australian sunshine or warmth. No top restaurant list is complete without a cheap and cheerful option and Bánh Mì Hoi-An, an easy going Vietnamese street food restaurant in Hackney Central, is our pick. Perfect for those nights when you just can’t be bothered cooking, grab yourself a steaming bowl of pho and your world will be complete. I know we said 20 but this was too good to not add to the list! With its authentic traditional Italian recipes cooked with an obvious passion for food, it's of the most stand out restaurants gastronomy wise. 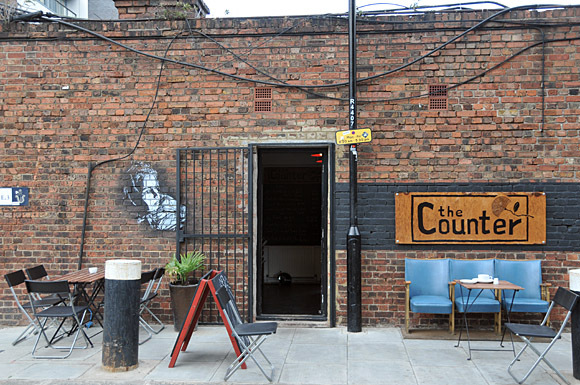 This restaurant is definitely one of Shoreditch's best kept secrets! Do you have any suggestions for places we have missed from our list? Let us know in the comments below. And if our Hackney food discussion has excited you about this part of London, why not start searching for properties today! To discover more area guides and exclusive content, make sure you download the Movebubble app!